Six Cylinder, TCIC, water cooled diesel engine rated power 137 hp@2200 rpm. 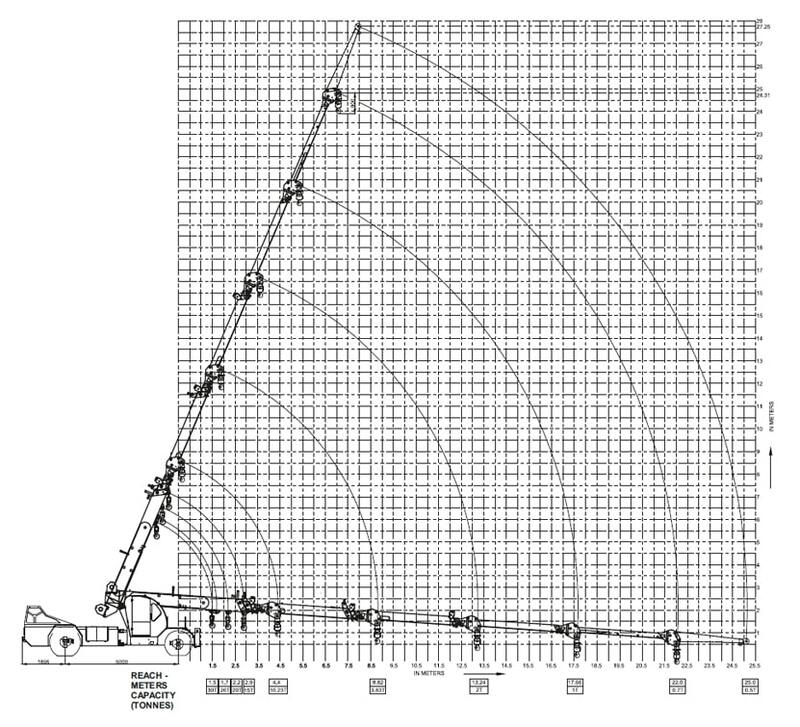 Articulated power steering, hydraulically controlled through two double acting hydraulic rams. Fully air operated 'S' cam dual circuit brakes on front and rear wheels. Air operated fail safe brakes on front and rear wheels. 5 part boom, 4 part hydraulically powered & semi synchronised. 5th part power extended and manually pinned for safety. Eight falls with fail safe brake. 24V, DC dual battery negative earth.